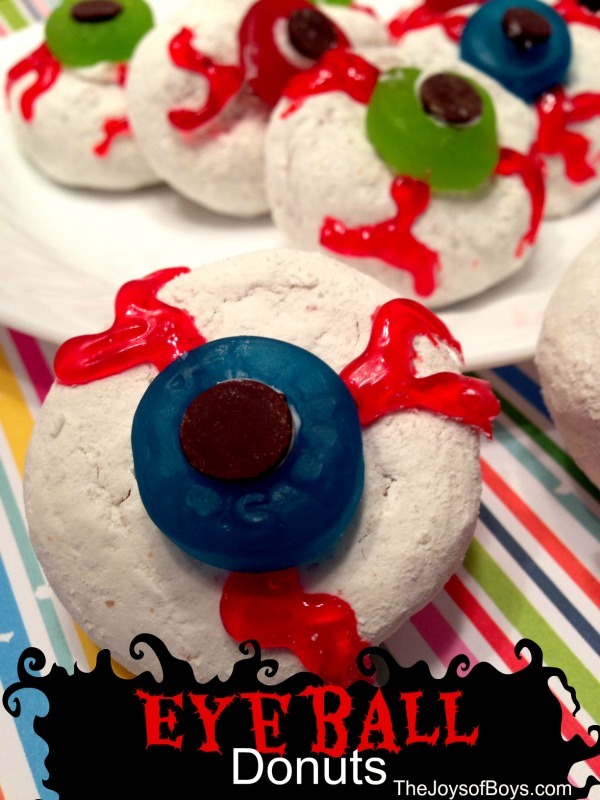 Eyeball Cake Balls and Fizzy Potion make for a fun Halloween treat combination. 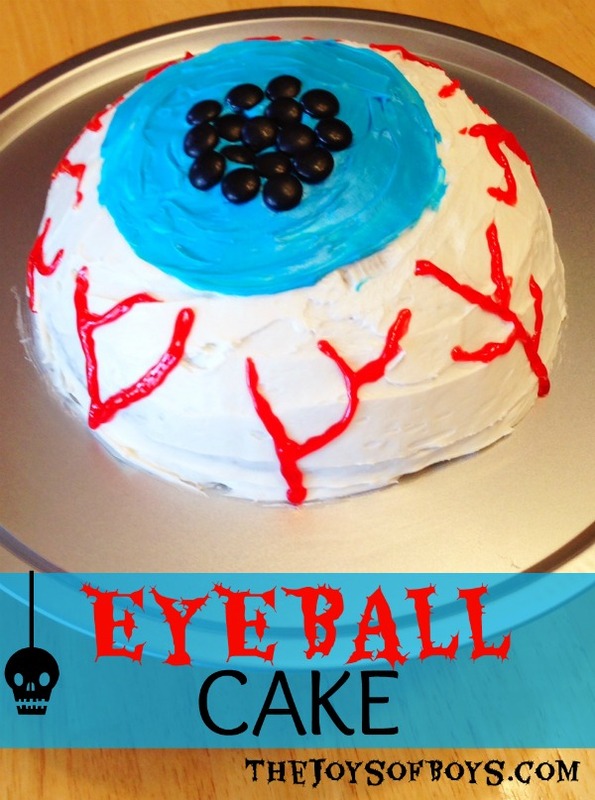 I think an Eyeball-themed Halloween party is in order! It’s one of my most favorite times of the year. The weather is cooling off slightly and Fall is in the air. 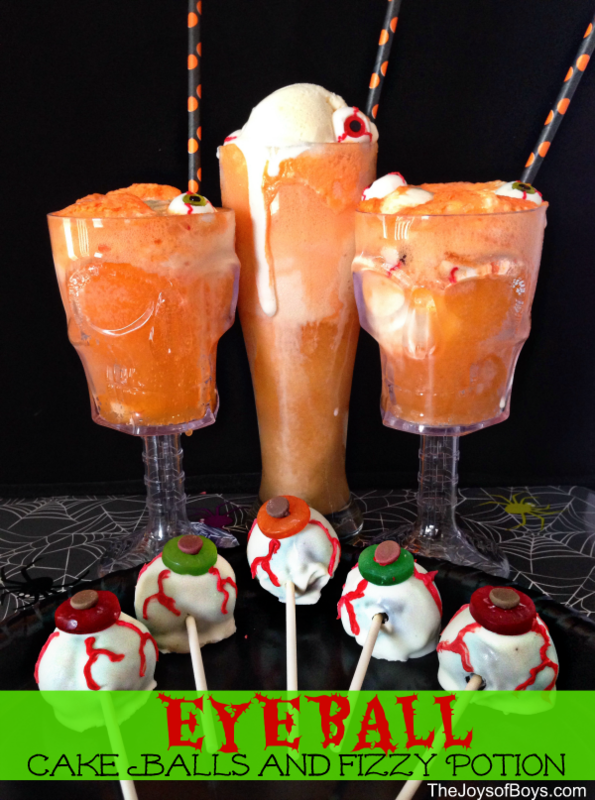 With Fall comes Halloween which is my favorite holiday for making fun food and treats with my kids. 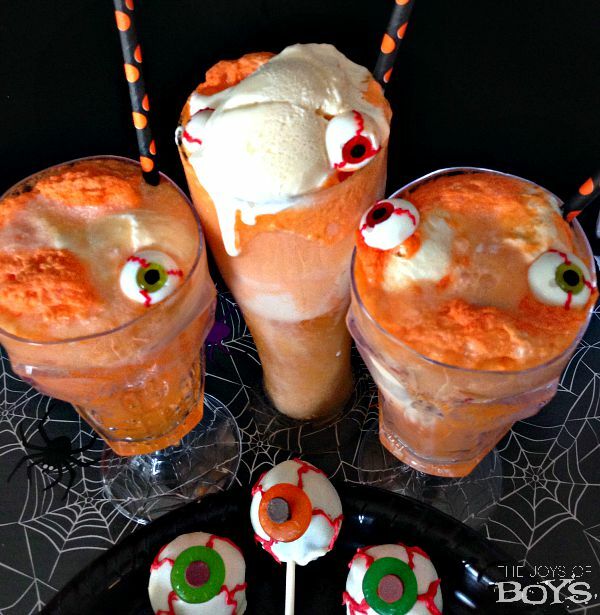 We opened our own spooky snack lab and made these Eyeball Cake Balls and Fizzy Potion which were right up my boys’ alley. What’s grosser than eating eyeballs, right? 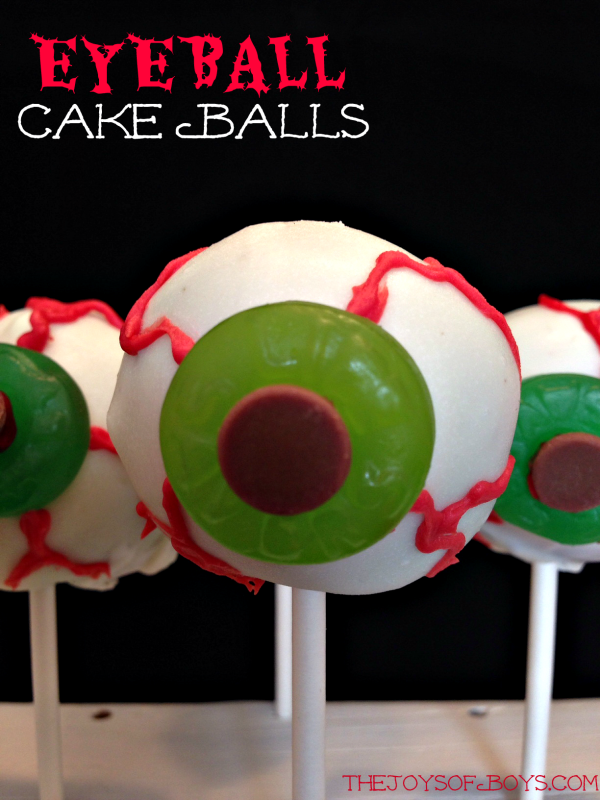 These Eyeball cake balls are OREO cake balls in disguise. If you have never made OREO cake balls, then you will thank me for this recipe for the rest of your life. 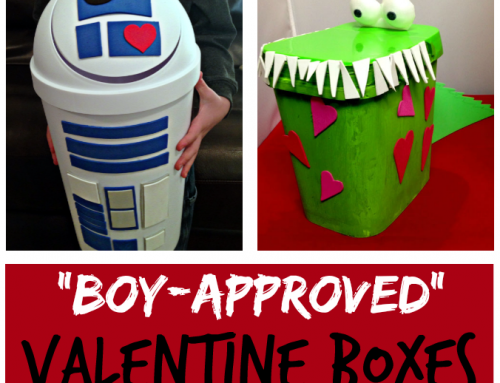 They are so easy to make and people love them! 1. 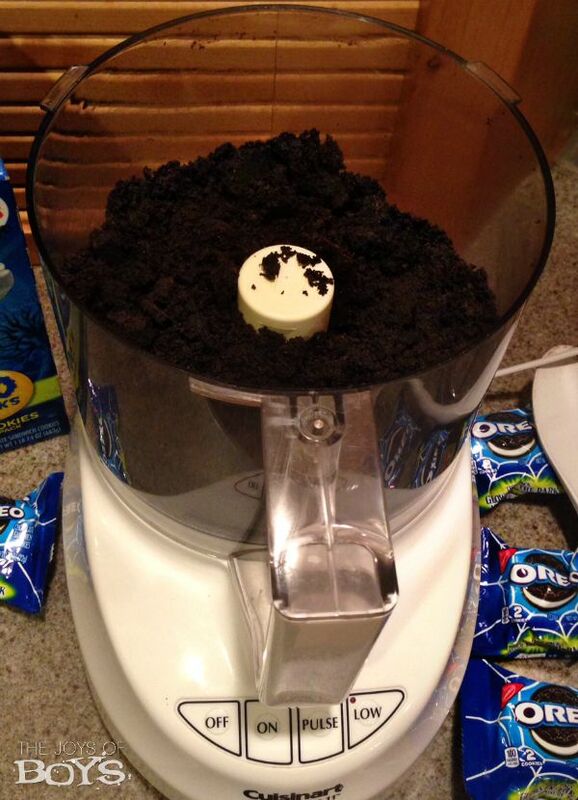 Crush OREO cookies in a food processor until very fine. 2. Add package of cream cheese and mix until well blended. 3. 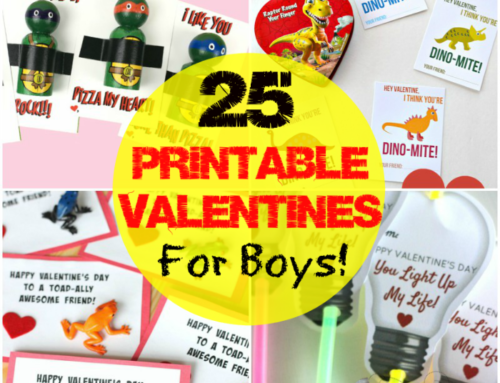 Roll into balls and place on a cookie sheet that is covered with wax paper or parchment paper. Refrigerate for a few hours until cold and firm. 4. Melt candy melts or white chocolate in the microwave by cooking for 30 second intervals, and stirring in between each one, until melted completely. Don’t over cook or it will burn and be ruined. 5. 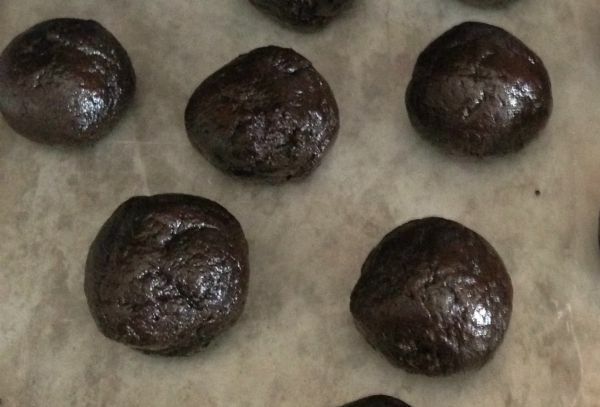 Dip OREO balls into melted chocolate and then place back on wax paper or parchment paper to allow the chocolate to harden and set up. Before chocolate is too hard, add one gummy candy to start making the eyeball. 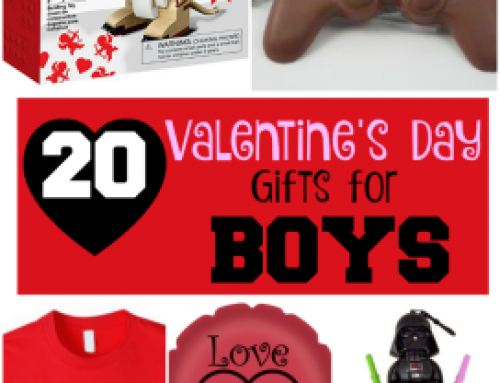 And if you want to make an OREO cake ball pop, push in a sucker stick. 6.Allow chocolate to cool and harden completely and draw on blood vessels with a candy writer or gel pen. 7. Add a little frosting to a chocolate chip and place in the center of the eyeball for the pupil and you are finished! 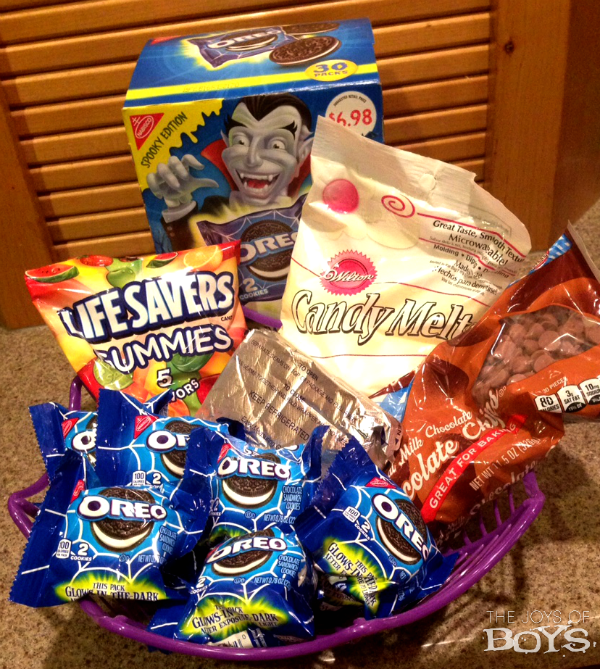 If you are looking for a fun and different treat for trick-or-treaters, we love the Spooky Edition OREO with Glow-in-the-dark packaging! Children will love seeing them glow in their treat bag. So fun! 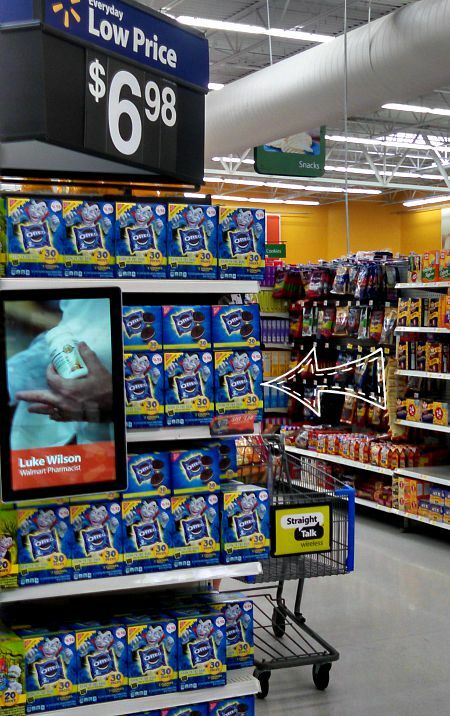 We found them at Walmart on the end of the snack aisle. 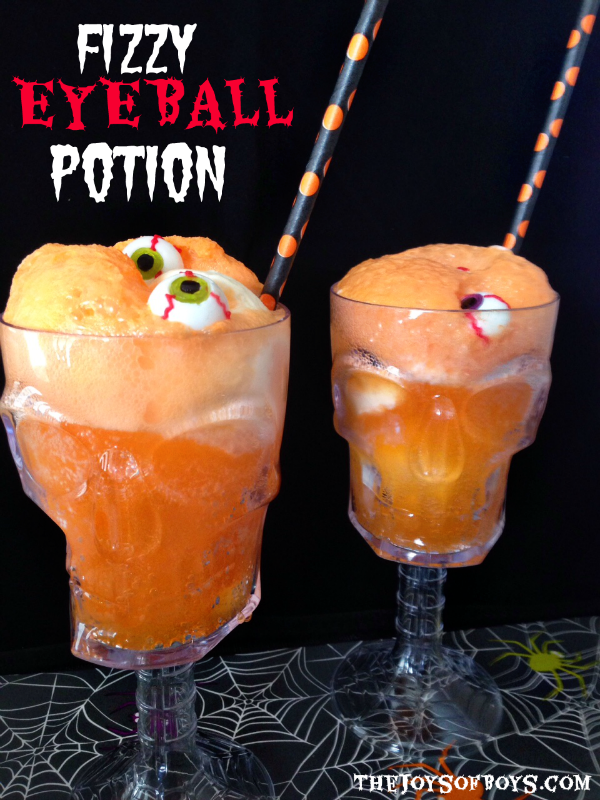 To go with our spooky eyeball theme, we also made a fun Fizzy Eyeball Potion. Fizzy Eyeball Potion is super easy to make with just a few ingredients. 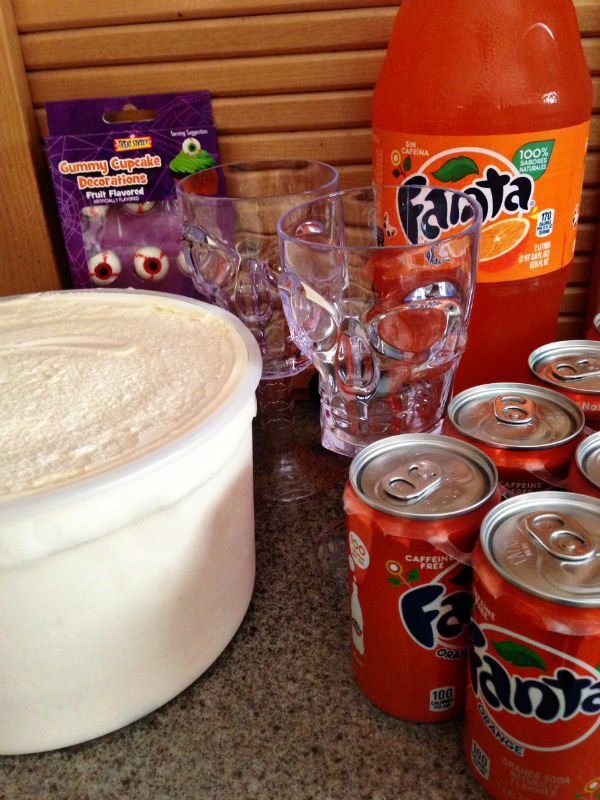 Fill your goblet or cup with ice cream and then add some Fanta orange soda and watch it fizz. Add a few gummy eyeballs to the top and you have a fun Fizzy Eyeball Potion that would be the perfect drink for your next Halloween party. 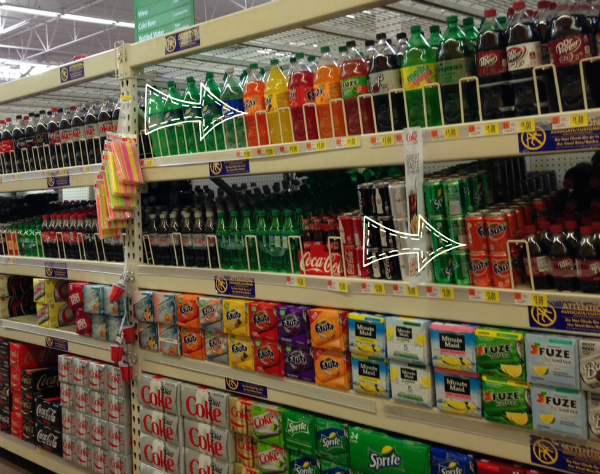 I picked up the Fanta Orange Soda at Walmart down the soda aisle. 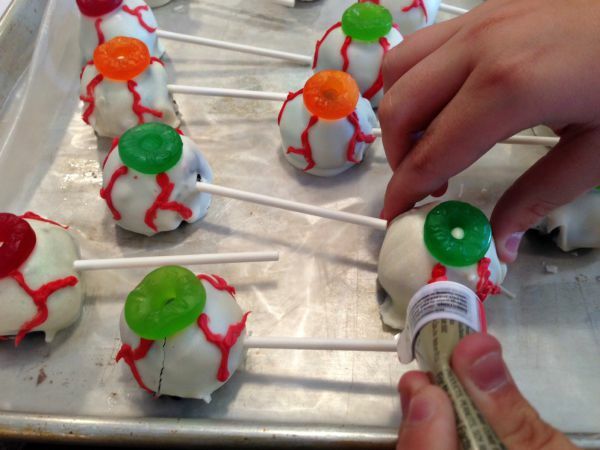 I hope you love these Spooky Eyeball Snacks. My boys and I had a great time becoming Mad Scientists and they experimented in our Snack Lab kitchen. Our favorite part of the holidays is creating fun food in the kitchen together. 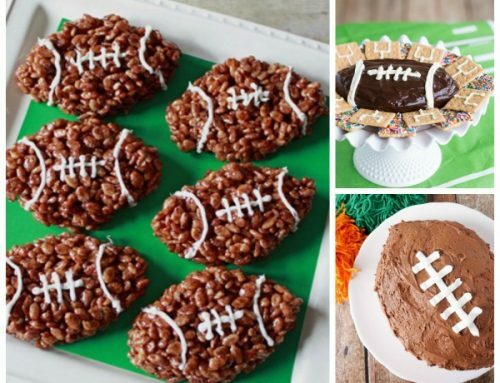 For more Spooky Snack ideas, make sure to visit the Spooky Snack Lab for inspiration, including a Walmart-exclusive recipe that combines both Fanta and OREO products from Evette Rios, host of the CBS show Recipe Rehab.